AFTER being hampered by a limited pre-season, boom recruit Dion Prestia will only get better as the season rolls on, according to Richmond coach Damien Hardwick. The 24-year-old only began training twice a week in the last month, after arriving from the Gold Coast Suns with knee problems. However, as Richmond head towards a likely finals berth, Hardwick is confident the midfielder will continue to improve. Prestia is averaging 22 disposals and three tackles a game since his move to Punt Road on a five-year deal. "He's getting better," Hardwick said on Friday morning. "He's probably only started training twice a week for the last 3-4 weeks. He certainly can play better, we know that. "The stats generally show if you have a full pre-season your season is generally consistent, and Dion didn't have that, so he's been trying to catch up and you're probably never going to do that throughout the course of an AFL season. "We know his best is going to be at the back-end of the season, (and) we're really excited with what he's going to bring." 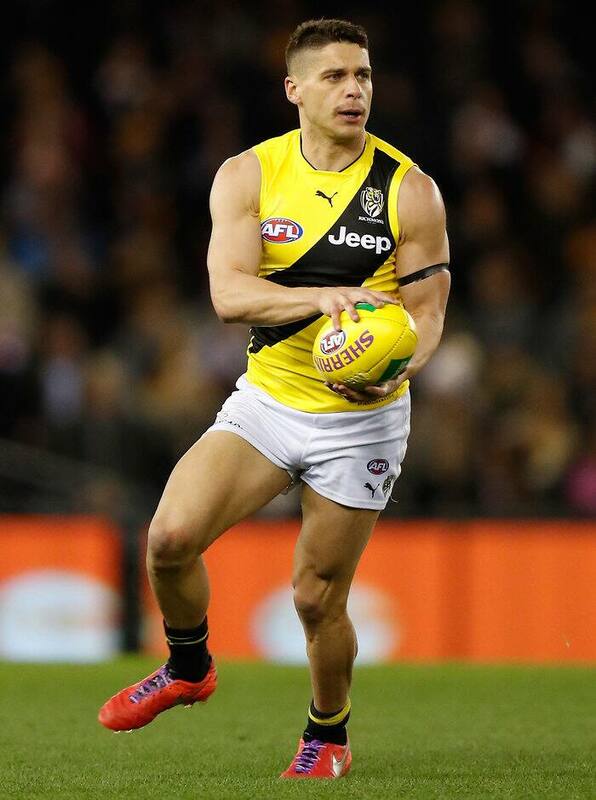 Prestia will be part of a Tiger midfield that will be confronted by a strong Brisbane Lions on-ball division led by the in-form Dayne Zorko at Etihad Stadium on Sunday. Playing primarily as a midfielder this season, Zorko is averaging 26 disposals, has kicked 24 goals and trails only Rory Sloane in tackles and Zach Merrett in total metres gained across the competition. Hardwick, who has never lost to the Lions as coach, says he has more to worry about than just curtailing the brilliance of the pocket rocket. "We’ve got some plans in place for Dayne, he’s a very good player," Hardwick said. "He’s changed his game up a little bit last week versus Geelong, but managed to still kick four goals. "He’s a really important player, but you’ve also got to understand they’ve got a great leader in Dayne Beams who's capable playing some really good footy as well. "People sort of underestimate the value of Tom Rockliff as well in that area, so they’ve got a really, really strong midfield that we’ll put a bit of work into." Hardwick has injected some grunt into his engine room to combat Zorko and company, with contested-ball specialist Anthony Miles to play only his third game of the season after blistering VFL form. Miles' inclusion points to a far more aggressive Richmond on Sunday, after they were savaged to the tune of 67 points by a rampant St Kilda last week. Hardwick revealed his side had taken part in some full-blooded training sessions during the week in a bid to regain a hard edge that has served them so well this season. "(Mouthguards in) was the exact quote we used ... most sides pride themselves on that part of the game and we were incredibly disappointed with what we put out," he said. Hardwick also confirmed Dylan Grimes will play against the Lions after overcoming a heavy knock sustained in an incident that saw St Kilda’s Tim Membrey receive a two-match suspension.